Ring me a cab, please! I’ve only had the classic version but I like your idea of cutting out the triple sec! The hula girl glasses are a fun touch too! Thanks- the glasses are fun…the main thing it to manage the sweetness of the drink…feel free to play around.. Probably my second favourite cocktail. Rather than omitting the triple sec I never add simple syrup, with all the sugar in coke I never understood why it was included! I’ll definitely be mixing this one up this weekend. By the way, love the use of Tito’s. It’s a mainstay in our bar. We enjoyed the first few….after that, ummm, I don’t recall. I am off to mix myself one of these *frantically searches through drinks cupboard*. I don’t know what I like more about your blog — your photos or your food! Oh, and I want one of those hula girl glasses! I nominated you for the versatile blogger award! The logo is on my most recent blog post for you to snag. Thanks! We will follow up with a post. And thanks for reading! 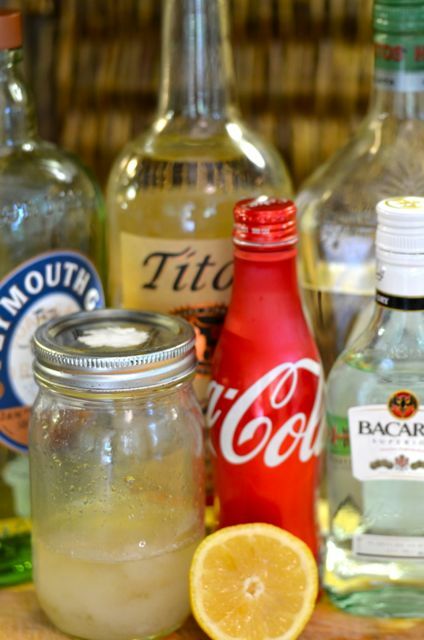 When I was a bartender we used the same alcohols and instead of lemon we used sweet and sour mix along with the coke. I had a fellow come into the bar indicating that because I was a woman I could not make a good drink. 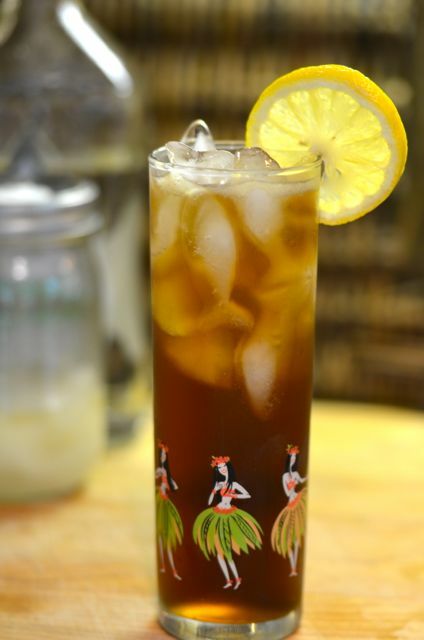 I made him a Long Island Ice Tea! 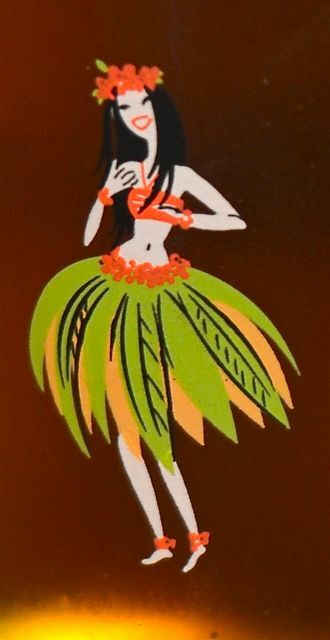 So if you drink enough long island iced tea you become a hula girl? Mine’s a double! This makes me wish I had a properly stocked liquor cabinet. Love that hula girl glass! Looks like a pharmacy is needed for this one. 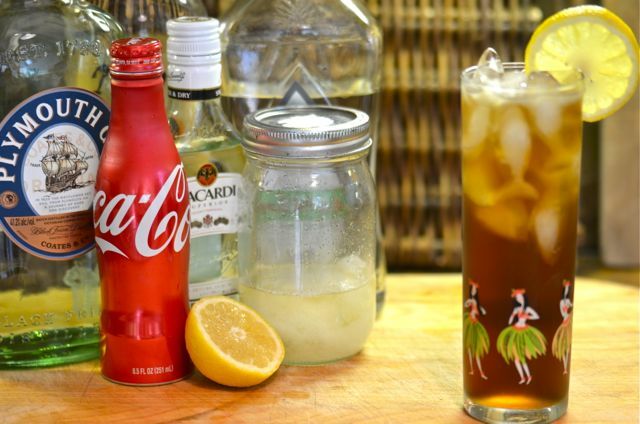 I loved “Long Island Tea” before I had too many *smile – I didn’t have a clue what I was drinking there at Marriott Hotel in Boston, next day I couldn’t move my head. After that evening in Boston about 20 years ago .. haven’t touched again. While in Rome, recently, my daughter (all 21 years of her) “discovered” the LIIT. It is a dangerous drink, so we limited her to one. But even with that, it made for fantastic vacation photos and videos. Heh-heh-heh! One is enough…its the kind of drink where you feel fine…and then you stand up….